Along with stocks and real estate, investing in bonds is one of the core concepts you will need to understand as you start building your portfolio. If you've ever wanted to ask, "What is a bond?" or "How do you invest in bonds?" this article was written specifically for you. In the next minute or two, you are going to get a basic overview of how bonds work, who (and by whom) they are issued, the basic appeal of investing in bonds, and some of the major considerations you'll want to factor into any capital allocation decision should you decide to add bonds or similar fixed-income securities to your portfolio. First thing is first: What is a bond? As you learned in Bonds 101 - What They Are and How The Work, a bond, in its basic form, a plain vanilla bond is a type of loan. An investor takes his or her money and temporarily lends it to the bond issuer. In exchange, the investor receives interest income at a predetermined rate (the coupon rate) and at predetermined times (the coupon date). The bond has an expiration date (the maturity date) at which point the stated par value of the bond must be returned. 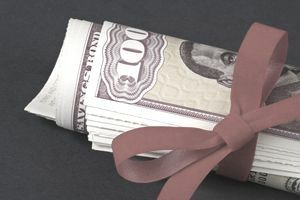 In most cases, with a notable exception being certain U.S. Government savings bonds such as the Series EE savings bonds, a bond ceases to exist at maturity. A simplified illustration might help. Imagine The Coca-Cola Company wanted to borrow $10 billion from investors to acquire a large tea company in Asia. It believes the market will allow it to set the coupon rate at 2.5% for its desired maturity date, which is 10 years in the future. It issues each bond at a par value of $1,000 and promises to pay pro-rata interest semi-annually. Through an investment bank, it approaches investors who invest in the bonds. In this case, Coke needs to sell 10,000,000 bonds at $1,000 each to raise its desired $10,000,000,000 before paying the fees it would incur. Each $1,000 bond is going to receive $25.00 per year in interest. Since the interest payment is semi-annual, it is going to arrive at $12.50 every six months. If all goes well, at the end of 10 years, the original $1,000 will be returned on the maturity date and the bond will cease to exist. If at any time, interest payment or the par value at maturity is not received by the investor on time, the bond is said to be in default. This can trigger all sorts of remedies for the bondholders depending upon the legal contract governing the bond issue. This legal contract is known as a bond indenture. Unfortunately, retail investors sometimes find these documents very difficult to come by, unlike the 10K or annual report of a share of stock. Your broker should be able to help you track down the necessary filings for any specific bond that catches your attention. What Are the Different Types of Bonds an Investor Can Acquire? Although the specifics of any particular bond can vary wildly - at the end of the day, a bond is really just a contract drawn up between the issuer (the borrower) and the investor (the lender) so any legal provision upon which they might agree could theoretically be put into the bond indenture - certain ordinary customs and patterns have emerged over time. Sovereign Government Bonds - These are bonds issued by sovereign governments. In the United States, this would be things such as U.S. Treasury bills, bonds, and notes, which are backed by the full faith and credit of the country, including the power to tax in order to meet its constitutionally required obligations. Additionally, sovereign governments often issue special types of bonds aside from their primary obligations. Agency bonds, which are issued by government agencies, often to fulfill a specific mandate and despite enjoying the implicit assumption of backing from the government itself, often provide higher yields. Likewise, savings bonds, which we've already discussed, can be particularly interesting under the right circumstances; e.g., the Series I savings bonds when inflation is a risk. If you are an American citizen who has large cash reserves far in excess of FDIC insurance requirements, the only acceptable place to park the funds is a TreasuryDirect account. As a general rule, it is best to avoid investing in foreign bonds. Municipal Bonds - These are bonds issued by state and local governments. In the United States, municipal bonds are often tax-free to achieve two things. Firstly, it allows the municipality to enjoy a lower interest rate than it would otherwise have to pay (to compare a municipal bond with a taxable bond, you must calculate the taxable equivalent yield, which is explained in the article linked earlier in this paragraph), easing the burden to free up more money for other important causes. Secondly, it encourages investors to invest in civic projects that improve civilization such as funding roads, bridges, schools, hospitals, and more. There are many different ways to weed out potentially dangerous municipal bonds. You also want to make sure you never put municipal bonds in your Roth IRA. Corporate Bonds - These are bonds issued by corporations, partnerships, limited liability companies, and other commercial enterprises. Corporate bonds often offer higher yields than other types of bonds but the tax code is not favorable to them. A successful investor might end up paying 40% to 50% of his or her total interest income to Federal, state, and local governments in the form of taxes, making them far less attractive unless some sort of loophole or exemption can be utilized. For example, under the right circumstances, corporate bonds might be an attractive choice for acquisition within a SEP-IRA, especially when they can be acquired for much less than their intrinsic value due to mass liquidation in a market panic, such as the one that occurred in 2009. What Are the Main Risks of Investing in Bonds? Credit Risk - Credit risk refers to the probability of not receiving your promised principal or interest at the contractually guaranteed time due to the issuer's inability or unwillingness to distribute it to you. Credit risk is frequently managed by sorting bonds into two broad groups - investment grade bonds and junk bonds. The absolute highest investment grade bond is a Triple AAA rated bond. Under almost all situations, the higher the bond's rating, the lower the chance of default, therefore the lower the interest rate the owner will receive as other investors are willing to pay a higher price for the bigger safety net as measured by financial ratios such as the number of times fixed obligations are covered by net earnings and cash flow or the interest coverage ratio. Inflation Risk - There is always a chance that the government will enact policies, intentionally or unintentionally, that lead to widespread inflation. Unless you own a variable rate bond or the bond itself has some sort of built-in protection, a high rate of inflation can destroy your purchasing power as you may find yourself living in a world where prices for basic goods and services are far higher than you anticipated by the time you get your principal returned to you. Liquidity Risk - Bonds can be far less liquid than most major blue-chip stocks. This means that once acquired, you may have a difficult time selling them at top dollar. This is one of the reasons it is almost always best to restrict the purchase of individual bonds for your portfolio to bonds you intend to hold until maturity. To provide a real-life illustration, I recently worked to help someone sell off some bonds for a major department store in the United States, which are scheduled to mature in 2027. The bonds were priced at $117.50 at the time. We made a call to the bond desk - you can't trade most bonds online - and they put out a bid request for us. The best anyone was willing to offer was $110.50. This person decided to hold the bonds rather than part with them but it's not unusual to encounter such a discrepancy between the quoted bond value at any given moment and what you can actually get for it; a difference known as a bond spread, which can hurt investors if they aren't careful. It's almost always best to trade bonds in larger blocks for this very reason as you can get better bids from institutions. Reinvestment Risk - When you invest in a bond, you know that it's probably going to be sending you interest income regularly (some bonds, known as zero-coupon bonds, do not distribute interest income in the form of checks or direct deposit but, instead, are issued at a specifically-calculated discount to par and mature at their face value with the interest effectively being imputed during the holding period and paid out all at once when maturity arrives). There is a danger in this, though, in that you cannot predict ahead of time the precise rate at which you will be able to reinvest the money. If interest rates have dropped considerably, you'll have to put your fresh interest income to work in bonds yielding lower returns than you had been enjoying. How Much of Your Portfolio Should Be Invested in Bonds? Determining a proper bond asset allocation is covered in an article called How Much of My Portfolio Should Be Invested in Bonds? which is a quick and easy read that breaks down a basic rule of thumb you can use if you feel it fits your situation. Investors who don't want to own individual bonds but still desire a fixed income component in their portfolio might want to consider a pooled structure such as a bond fund, often structured as either a traditional mutual fund or an ETF.